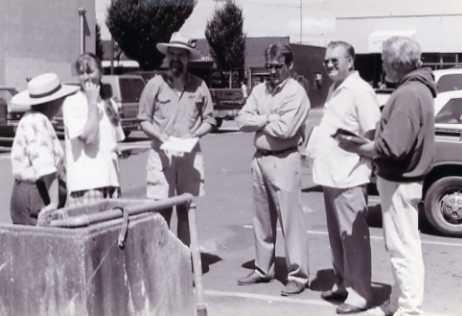 "The mission of the Friends of Artesians is to preserve and protect Olympia's heritage of publicly accessible artesian wells, and to promote good stewardship of these extraordinary gifts of nature." Members of our group � and the many citizens and local businesses who are working with us � come from different scientific disciplines, cultures and religious traditions. All of us share a strong belief that the pure artesian water which flows so freely from the earth has not just practical, but spiritual value. Artesian water is a lodestone of our identity and our history as a community. It is an ever-present reminder of the strength of nature and of the cycle of life-giving water that flows from the mountains to the sea and back again. We believe that by preserving and celebrating our artesian wells, we can not only live up to our responsibilities as stewards, but also teach the ethic of good stewardship - by example - to the generations who will follow us.